Wittaya Khunplume, President of the Sports Association Chonburi (standing rear), poses with the Bangkok Warriors, winners of the 10 year old category at the Beach Bash 4 on 4 Youth Ice Hockey Tournament 2017. 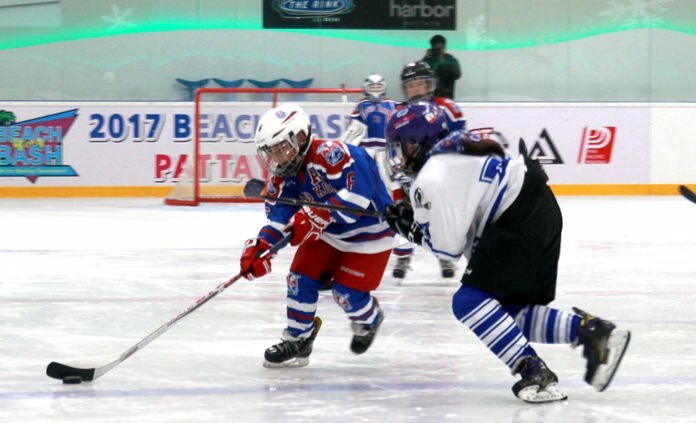 The Ice Rink Marina at Habor Mall Pattaya recently played host to the Beach Bash 4 on 4 Youth Ice Hockey Tournament 2017, which saw youngsters aged from 8–12 years old participate in one of the city’s first international ice hockey competitions. The December 9 event drew 17 teams in all, with representations from Hong Kong, Malaysia, Indonesia, the Philippines and Thailand, plus a large following of supporters to cheer them on. 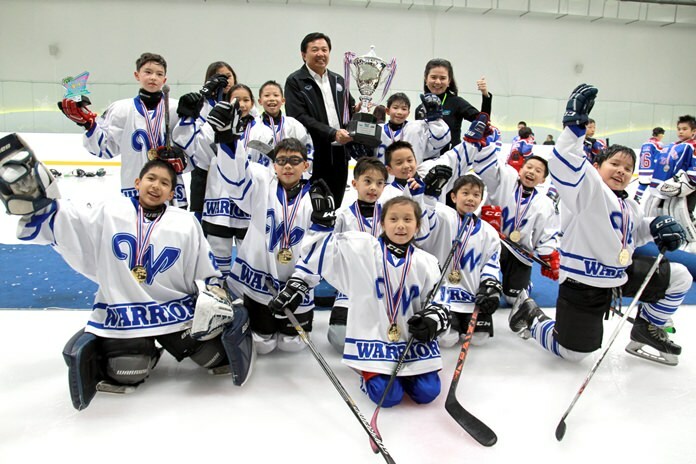 One of the highlight of the tournament for local fans was the 10-year old category where the members of the Bangkok Warriors faced off against the Hong Kong Typhoon Selects in the final. The Warriors were on top of their game from the start and eased out to a 4-2 lead after the first period. They were able to maintain their dominance over the following two periods and eventually rolled out winners by a score of 10-4. The winners of each age category were rewarded with trophies presented by Wittaya Khunplume, President of the Sports Association Chonburi. 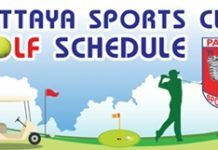 Chidchanok Janeworakul, manager of The Ice Rink Marina, said that the tournament was a first for Pattaya and was organized with the intention of promoting both sport and tourism. 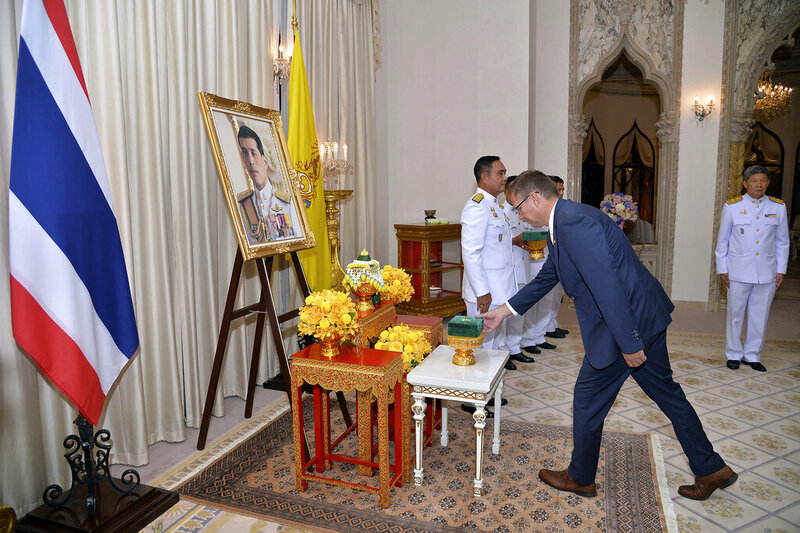 He also expressed a hope that the example set by Bangkok Warriors will inspire and attract other Thai youths to take up sports on ice in the future. The Bangkok Warriors battle against the HK Typhoon Selects during the 10-year old category final at the Harbor Mall in Pattaya, December 9.